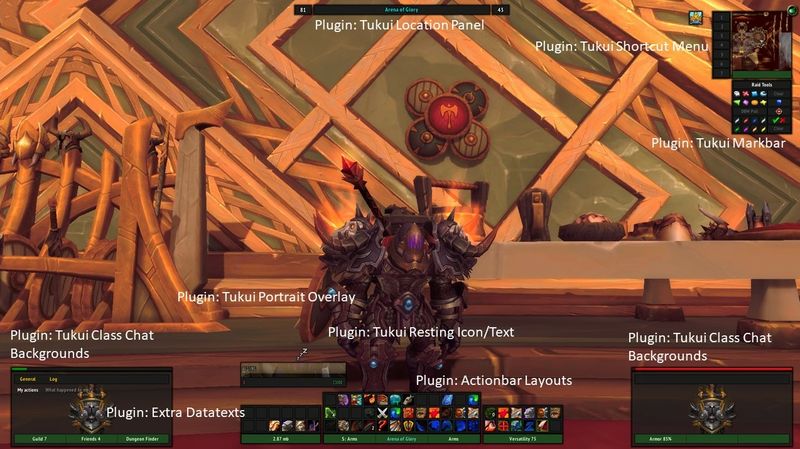 a small plugin for Tukui creating two options (Unitframes config) to show a Resting Icon or Text. Big thanks to Blazeflack sorting out the update function when leaving/entering a resting zone. The latest version of this addon is 1.03 and was uploaded on Jan 03, 2019 at 00:06. This file was last downloaded on Apr 18, 2019 at 07:20 and has been downloaded 2879 times. I meant the color of the icon. I wish there were more colors like blue, green and red. But I would not want it if it was a cumbersome and difficult task. What exactly do you want colored? The text part or the icon? Are you also using the portrait overlay plugin? I was amazed with your idea. I will use it well. In addition, can you add one or two more colors that are more noticeable than gray?